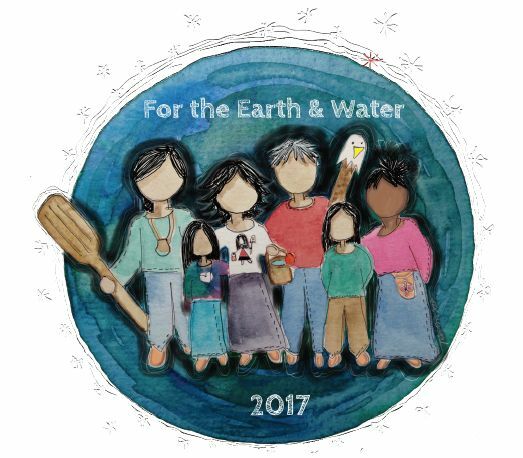 For Earth and Water Walk 2017 is the accumulation of work that began in 2003 when respected Elder Josephine Mandamin began walking around Lake Superior to raise awareness and pray for the Water. Since then she has conducted 13 Water Walks across the Great Lakes, St. Lawrence River and many other major rivers. 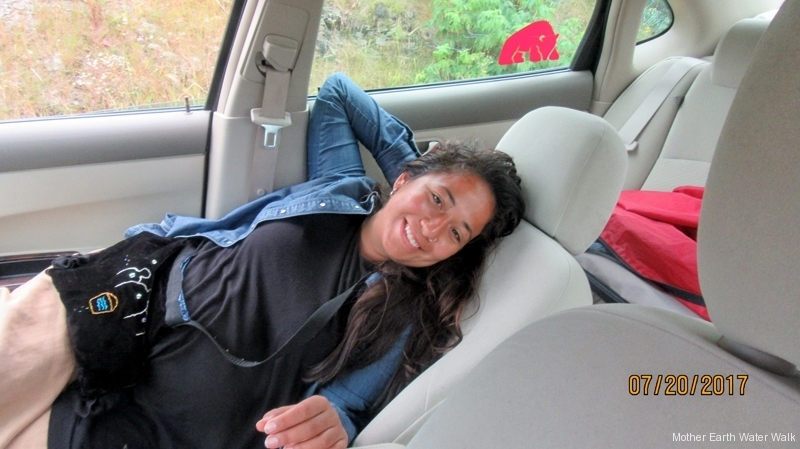 She has inspired a generation of women to care for the Water. 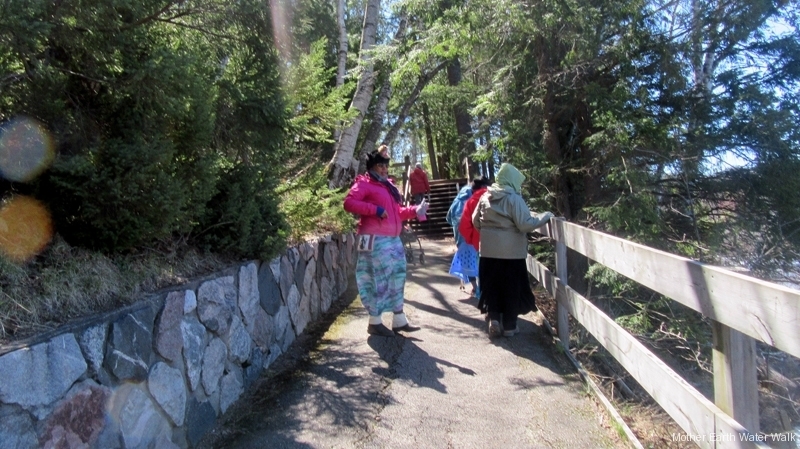 Her trusted helpers, The Walkers, travelled by way of the Great Lakes Water system via southern shorelines of Lake Superior, North and Eastern shores of Lake Huron. They followed the northern shores of Lake Erie and Lake Ontario with stops at Niagara Falls, passing by Toronto, Belleville, and Kingston. Finally they reached the Saint Lawrence River near Cornwall to Montreal, Trois Rivieres, Quebec City, Riviere-du-Loup, Rimouski and finally to Matane. Each Walker from the beginning committed their time for 3 months in order to assist Josephine raise awareness and complete the ceremony. They had to leave behind their families, work commitments, social endeavours and personal lives in order to be of service to the Water. The Water Walks bring together people of all colours, faiths and ideologies to work together for life’s most precious entity — Water. They are conducted through Anishinaabe (First Nations, Native American) ceremonial protocols and ways of understanding the natural world. In this work for Water, the women lead the ceremony, carrying a copper vessel filled with water from one place to the next. The water continually moves throughout the course of the early morning and into the afternoon. The men support the women by carrying an eagle staff beside them as their caretakers and protectors. Josephine’s son, Edward George paddled in solidarity and support alongside the Walk on the Picking Up the Bundles Canoe Journey. He and his helpers travelled the waterways as the Walkers travelled the roadways. 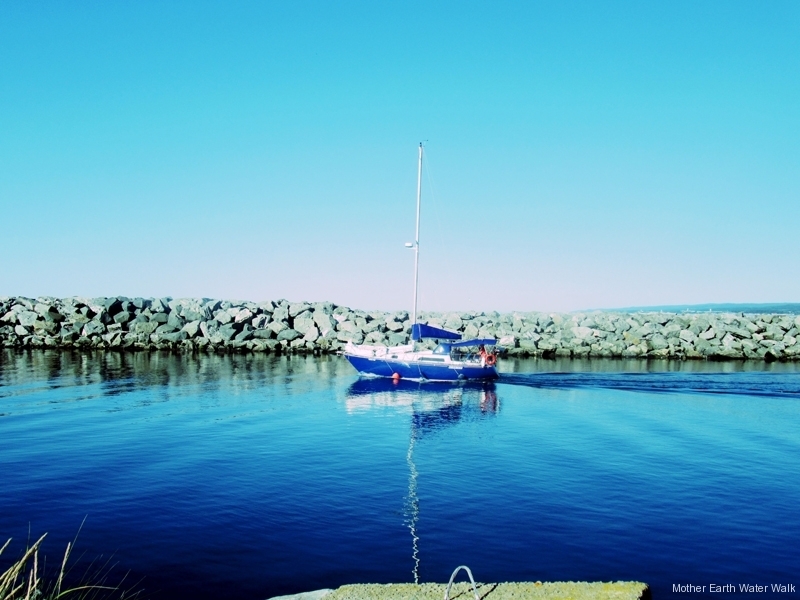 He completed his journey for Water in Matane alongside his mother. 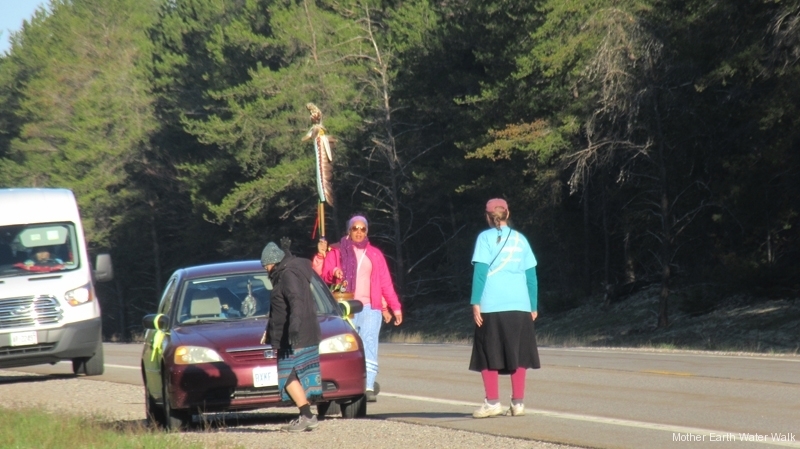 Along the way the Walkers and Paddlers stopped at sacred sites to pay tribute to their ancestors and the founding history of North America. 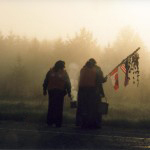 They made special offerings and petitions on behalf of all people so that future generations will begin to pick up the important work of protecting the Water. A Petition was started to begin the conversation around Josephine’s remarks on her final Water Walk. It is a way for everyone to participate in the celebration of this journey for Water, and how all North Americans can safeguard water for generations to come. Petition e-1030 (Navigable Waters) can be found and signed HERE to the House of Commons in Parliament Assembled, (Canada Only).